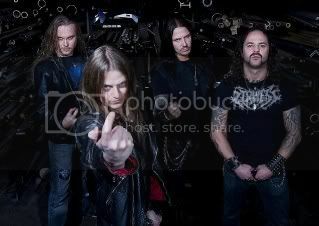 At the beginning of April 2011, record label Century Media announced via official press release that the latest album from Swedish metalheads Wolf, entitled Legions Of Bastards, would only be released as a digital download in North America. The band was unaware of the situation, however, up until guitarist Johannes Losbäck stepped up to do this interview. Not the best way to kick things off, but Losbäck wasn’t interested in shooting the messenger. 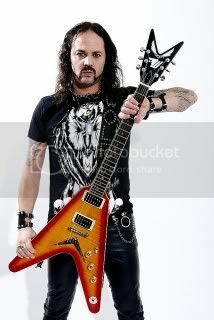 He was completely mystified by the label’s move, of course, and we both agreed the decision to limit the physical pressing for Legions Of Bastards is tragic, because like all Wolf albums, it was made for fans of traditional old school metal by fans of the genre. 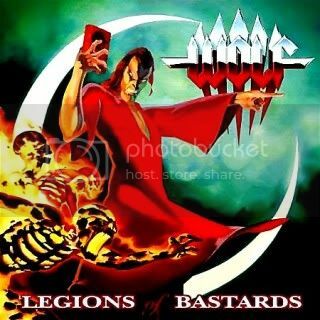 As expected, Legions Of Bastards continues Wolf’s relentless pursuit of and homage to traditional heavy metal. In fact, when put up against the band’s previous two records, Ravenous (2009) and The Black Flame (2006), the new one sounds even more raw and uncomplicated. Losbäck will be the first to agree that Wolf’s music is as far away as one can get from rocket science. There was no over-thinking or obsessing over each step taken to create the new record. No looking over the band’s collective shoulder, maybe gathering inspiration from Wolf’s earlier records? Legions Of Bastards has the feel of a young band out to do some damage thanks to the aforementioned raw atmosphere. Credit where it’s due, Wolf have succeed in keeping things interesting for the listener on Legions Of Bastards without tweaking their sonic roots. Not an easy feat by any means when you’re six albums into a career and have gained a loyal following. 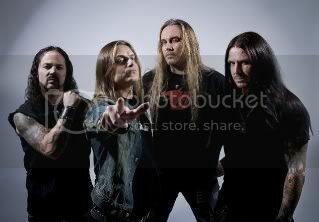 For the future, Losbäck and his bandmates will be on the road pushing Legions Of Bastards until they feel a new album is in them. Regardless of criticism or questionable record label decisions, Wolf will remain true to a very clear cut and simple goal.